The Bigodi communitywalk leads you to the homes of the local communities who stay near the park. While on this village walk, you will be escorted by a local resident with enough information about the culture and norms of different people and their tribes. It will be a door to door village tour where you will visit schools and churches .This walk will expose you to the village life especially in the remote areas. Return to your lodge for dinner and overnight stay at Primate lodge / Chimpanzee guest house. After an early cup of Coffee and with your packed breakfast and Lunch boxes, you will be driven to the starting point/park offices where you may be joined by other clients for a briefing on the days’ adventure and assigned a local ranger guide for your days’ activity. Habituation is usually up to 6people in a group per ranger guide. So you may be joined by other pax. There are approximately 4,950 Chimps left in the wild, out of which Kibale forest habitats over 1450 chimpanzees which makes it a perfect place to spot them! 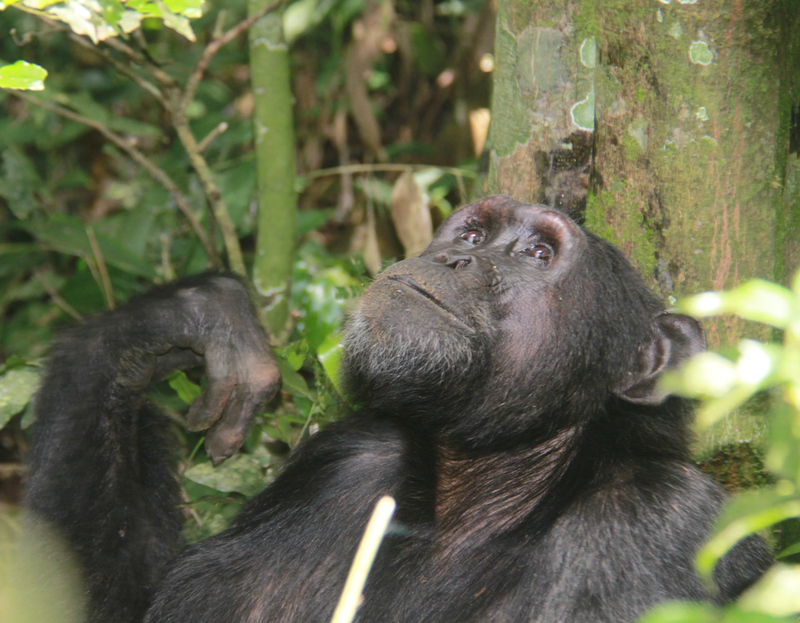 This activity is a whole day experience which takes you through the day to day life style of a chimpanzee. You are expected to de-nest and nest the chimps and walk them through their days’ activities. The other primates that you may see include among others;- Red-tailed Monkey, Red colobus, demidoff, Gray Cheeked Mangabeys, Olive Baboon, vevet monkeys, Black and White Colobus etc. You may also encounter other forest mammals like the duikers, forest Elephants and various bird species during the walk. You then return to your accommodation for early dinner, before you again set out for a night guided walk with a park ranger guide in search of bush babies, Gallegos, night jars etc dinner and overnight stay at Primate lodge / Chimpanzee guest house. After a relaxed cup of coffee, today we say good bye to the rainforest we travel to Kampala with lunch along the way. Arrive in Kampala during the late afternoon.